This is the playground part of Anzu's great Granny's school, or the so-called Japanese public daycare, HOIKUEN. Energetic children are all over the place during weekdays (including Saturday). On this day (only), it was Azumi's little paradise..
my school business ang granny ni anzy? tama ba pagkaintindi ko sis? cool! mukhang super enjoy dyan sa playground ah.. askim is also addicted with slides.. anzy and askim could definitely have fun together.. hihi..
Whoooooo ang saya naman ng bonding nyong magina Bams.. Love that cherry blossoms! Gotcha added bambie! 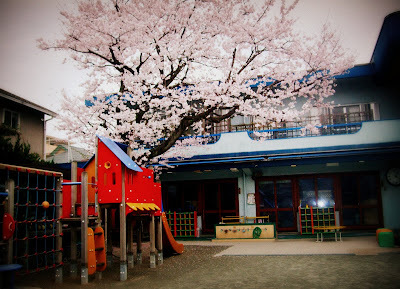 Hope you added me too :) I like sakura anime and cherry blossoms! waaaaaa...dpo si hubby yung may sakit...ako!...lol...so annoying kasi I still have cough....para akong askal...tahol ng tahol...lol! 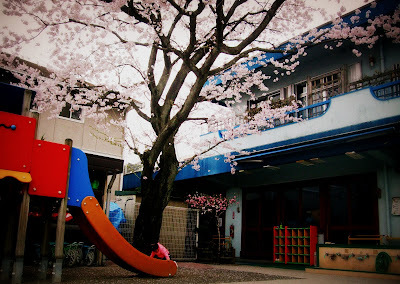 Azumi really have enjoyed... and the i love the cherry blossom! 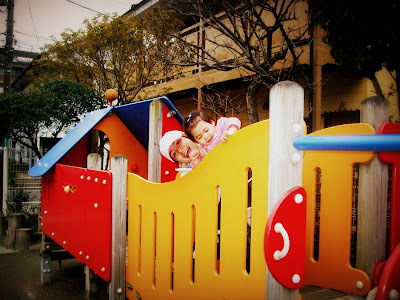 Ang ganda naman dyan sa playground na yan. Bakit parang kayo lang yata ang tao?? Looks pretty kids place. Happy mellow yellow Monday. actually MIL ni mommy tong school.. pero parang apo na rin nya kami. Bambie that looks like a magical place out of a story book. You can see Anzu just loved it. Great Pictures. Wonderful pics! I wish I had a tree like that outside of my window! 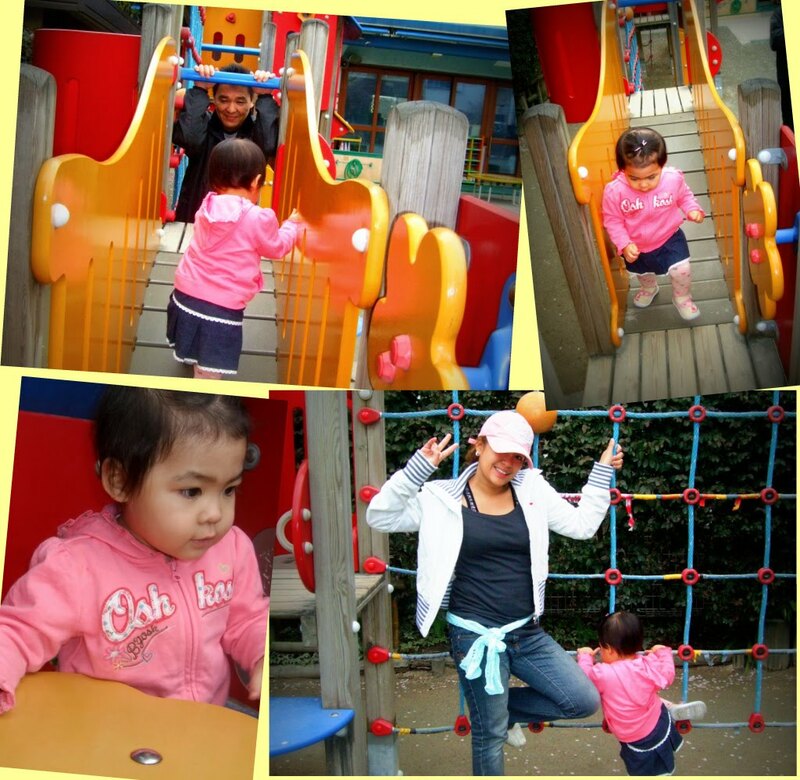 enjoy si baby...pati si mommy...heheh! happy summer bams...kisses to the little princess! Ang ganda tingnan ng hokuien lalo na pag puno ng sakura!Napapagod ka siguro sa kakahabol kay Azumi chan--gustong gusto nyang mag play sa labas!